Reading Extensively is hosting the 2011 Page to Screen Reading Challenge. I will be starting with Level One of the Reading and Watching option - that's 5 books and shows/movies - and going from there. Click here to sign up! 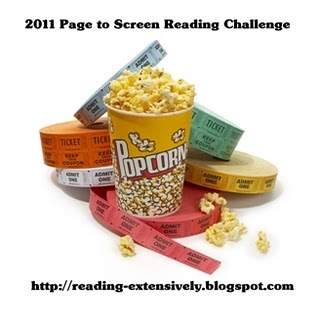 Thanks for signing up for the Page to Screen Reading Challenge!